The human race has always been subjected to various natural disasters such as floods, hurricanes, earthquakes, tsunamis etc. But with the advancement in technology, many effective tools can now aid in planning for emergencies. Often, people are unsure where to begin preparing for emergency management. This is why, we are going to discuss a variety of preparedness measures that will help ease the impact of natural disasters. Some of these options are very low cost and others are free, so you can apply them almost immediately. Keep in mind, preparedness is an ongoing process and your personal preferences can change over time. Here are the seven areas that can help you reduce vulnerabilities and prepare an action plan to respond and recover from natural disasters. You should always be aware of the hazards in your area. Be informed about the vulnerabilities and risk factors based on your geographical location. Once you are informed, you can work on preventive measures accordingly. Learn to decode weather information and implement relevant preventive measures to protect yourself and your family in case of natural disasters. A good way to stay up to date on weather conditions is by downloading a weather app on your smartphone. Most of these apps are free and fairly accurate. Also prepare an action plan that lists the immediate things to do around your home, to help minimize the effects of a disaster. For example, make sure all your family members know how to shut off utilities in case of an emergency. Learn how to use social networking to your benefit during and after a disaster. Make a list of people that you plan to communicate with during a disaster. Ask around, especially your neighbors, if they have a disaster plan? If yes, what are the details? Do they plan to evacuate in case of an emergency? Share your thoughts and make an agreement to keep each other updated when the time comes. After all, your neighbors will be the key resource during the disaster and its recovery period. Also, it is essential to have a talk with your family and outline a disaster plan. Discuss evacuation options and assign duties to everyone in case of an emergency. You can also use social media like Facebook and Twitter during a disaster to spread the word. It is important to know which sources you can trust, beforehand. For example, do your community officials have a good track record of announcing evacuations at the right time? Are the local news channels reliable enough? Can you trust the information shared by local media sources in the event of a natural disaster? Do your research before disasters, and follow your local emergency management department on social media to stay updated. Keeping a go-kit ready in your car can help you save a lot of valuable time in case of an unforeseen disaster. Many preparedness check lists highlight its importance. A basic disaster supplies kit includes enough food and water for each family member to last 3 days. Also include a small stash of basic medication that may be required. Refer to the Red Cross emergency kit guide to build your own. Will you be able to use a mode of transportation during the event of evacuation? It is essential to create an evacuation plan to address the issue of evacuation during a disaster. If you own a vehicle, make sure it is maintained and has fuel backup. If you don’t have your personal vehicle, identify some friends, families or neighbors who you can help you evacuate. Similarly, if you are dependent on public transportation, it is better to look up your community’s policies on public transportation regarding timely disaster evacuation. Mitigation means reducing or minimizing the damage caused by a natural disaster. This can be achieved through various structural and non-structural methods. Some of the common structural methods used for mitigation are installing levees or dykes on your property, raising the structure of your house, securing heavy furniture to the wall etc. Nonstructural methods focus on awareness like buying flood insurance or knowing that you have to boil water before drinking it after a hurricane. Adaptability is one of the key factors of preparedness. When planning and preparing for disasters, it is vital to understand that a written plan is not the final verdict. Our environment and knowledge are continuously changing, and these fluctuations pave way for new resources, capabilities and even technological advances. Remember, these changes are a part of the continual process of preparedness. Consider how these environmental and organizational variations may affect your disaster planning initiatives and adapt accordingly through alternate ways. Drills and exercises are a good way to re-evaluate your disaster preparedness plan. Through practice and constant testing, you can identify loopholes in your plans and improve them for the future. 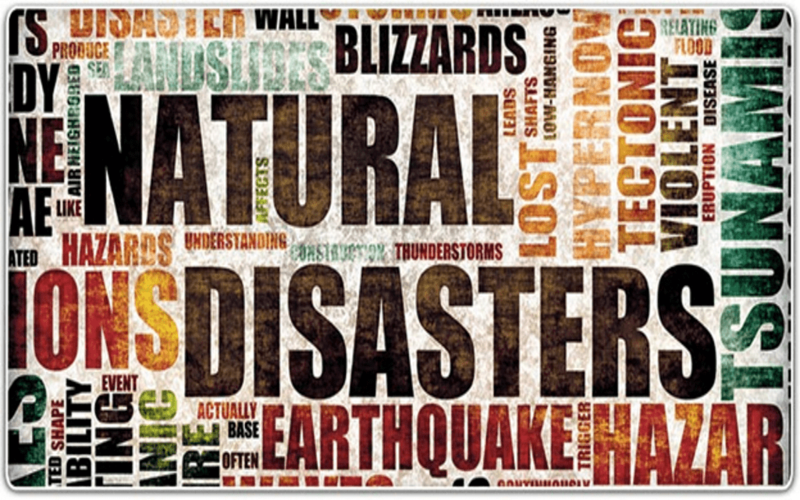 Disasters are often unpreventable and occur due to the natural phenomena of Earth’s movements. There are many inevitable consequences which follow a natural disaster, but being informed and prepared can ease their impact to a great extent. So, be ready to manage your situation calmly and effectively, when the time comes. Consider disaster preparedness insurance for your family. Be proactive and teach people around you about what needs to be done in emergencies. Turn your neighbors into a team that can act as a complete disaster response system, and help dazed victims, if the need arises.